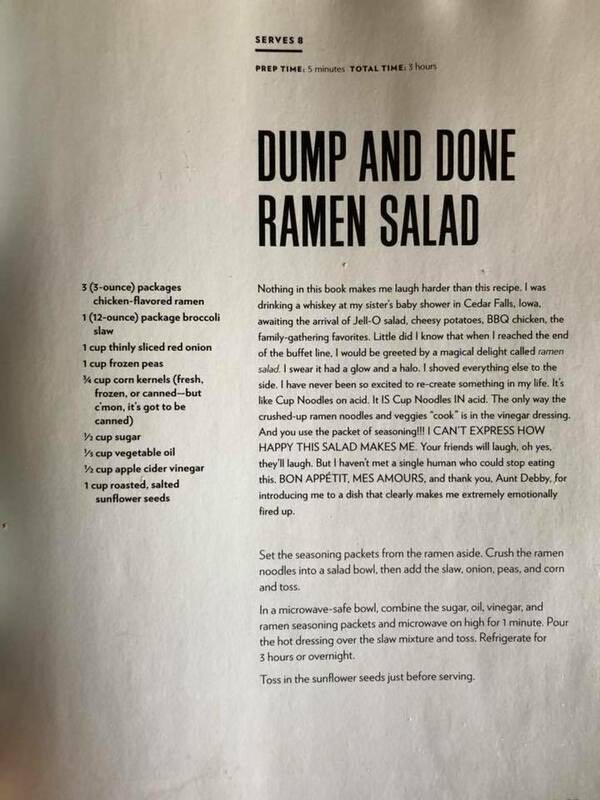 Cravings by Chrissy Teigen "Dump And Done Ramen Salad"
So fetus and I have been having disagreements about our food intake. Veggies are usually my #1, but fetus says “no, not today” way too often. 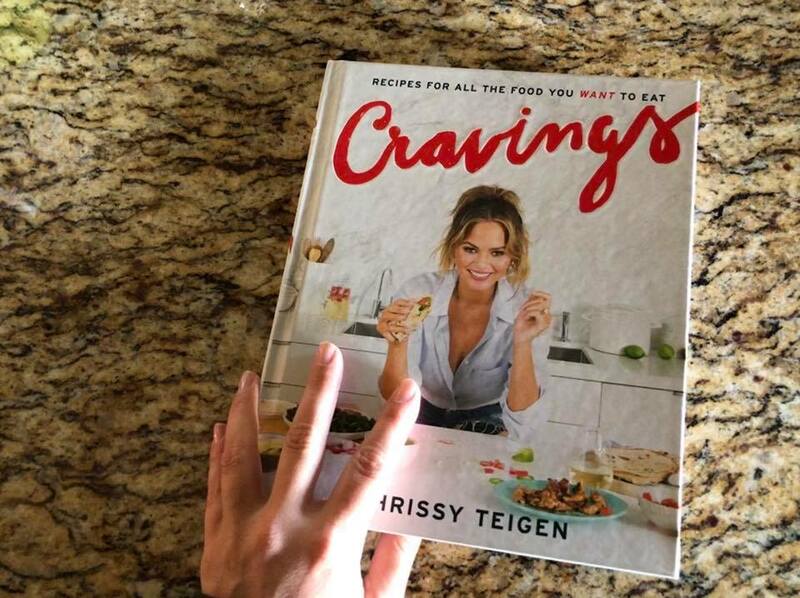 In an effort to eat more veggies and a little less Oreos, I turned to my girl Chrissy Teigen. P.S. I use all frozen veggies, add in carrots, usually substitute brussel sprout slaw instead of broccoli slaw, and add extra vinegar. Be sure to break up the ramen pieces extra small unless you like it really crunchy. 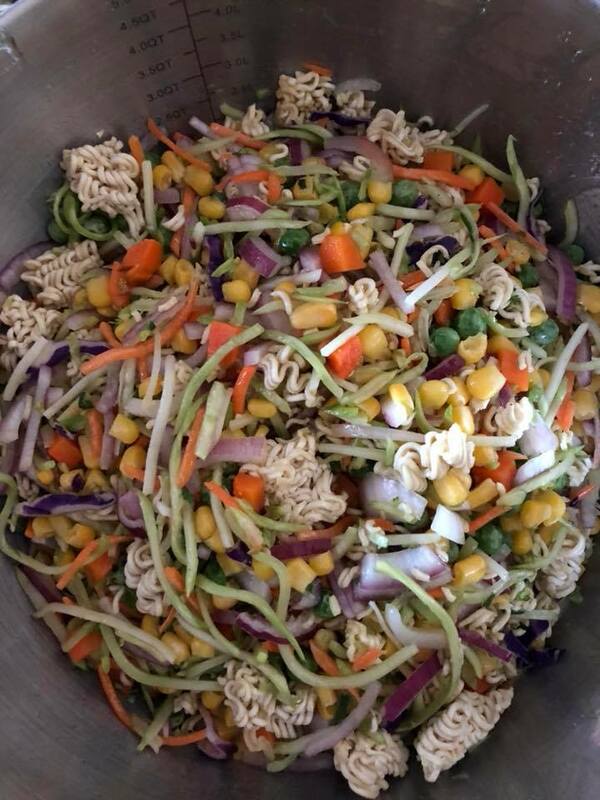 The vinegar “cooks” the noodles so the more surface area, the better. 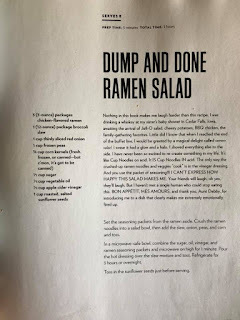 Bonus: most of the time I have all these ingredients in the house already and other than cutting the onion, it’s so so easy.